We were asked by Neenah Paper to create a limited edition print for their “Beauty of Letterpress” series, whose concept and design were developed by TPD Design House of Wayne, PA. Our solution creates a tribute to the “Beauty of Letterpress” using the iconic tools of letterpress as illustrative typographic forms, engaging viewers in discovering the tools within the typography. These amazing tools and processes, which have survived for centuries, connect art + craft, designer + printer, and paper + impression. 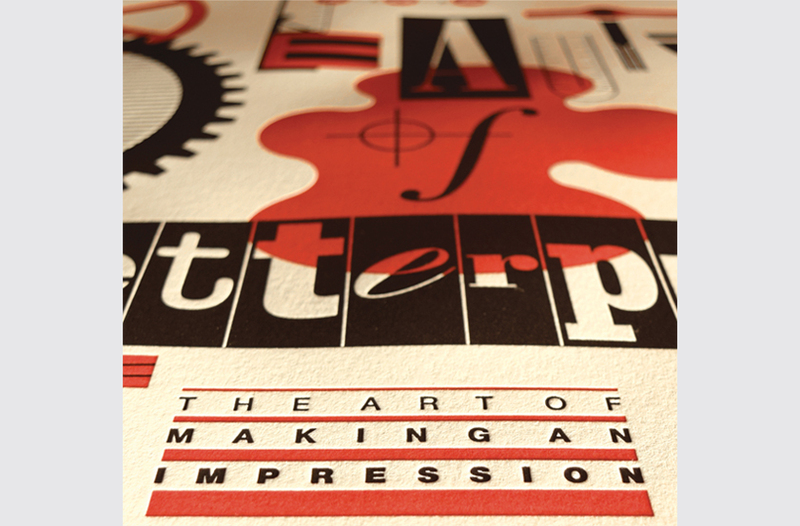 We also sought to convey letterpress as “The Art of Making an Impression” by demonstrating the medium’s many wonderfully dimensional qualities. 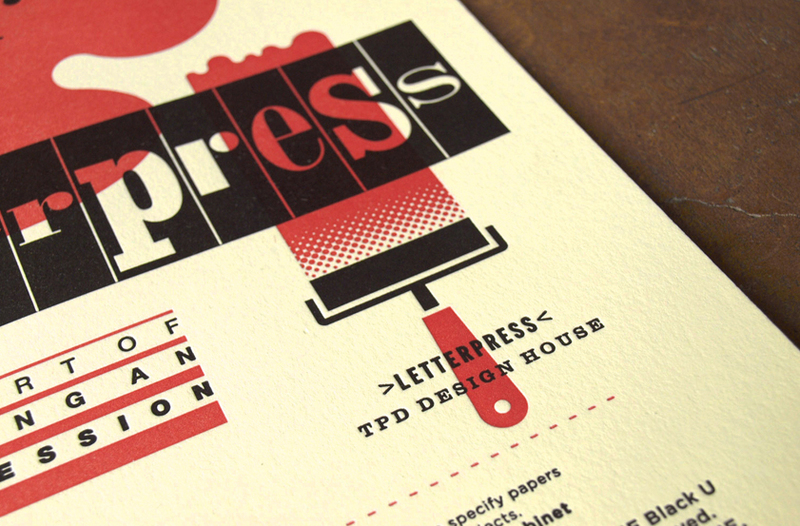 The platen press wheel and gear, ink blob and woodblock letters, and ink brayer streak illustrate the depth of color created by overprinting. 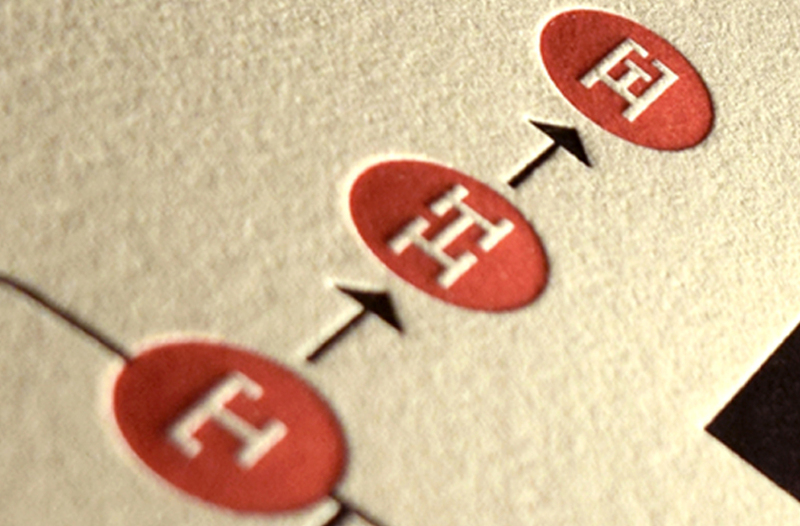 The composing stick, line gauge, and dot screen showcase the ability of letterpress to transform fine detail into a delightfully tactile experience. 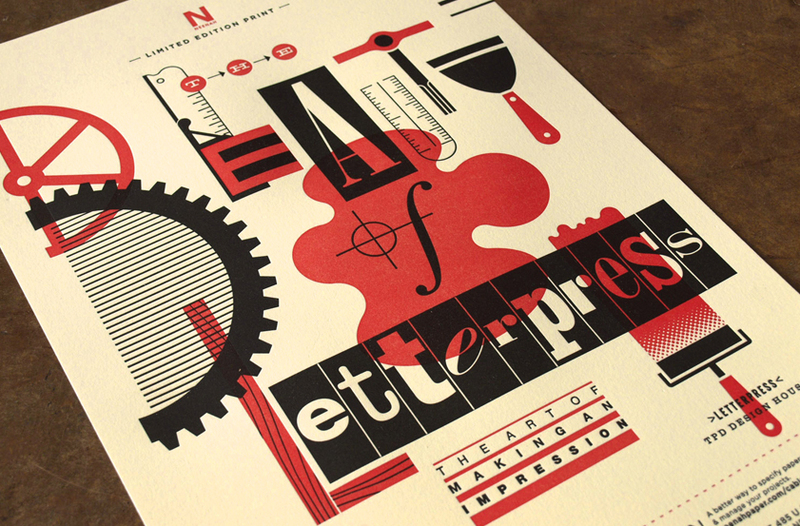 The design created an impressive showcase for Neenah Paper’s Crane’s LETTRA 90 lb. 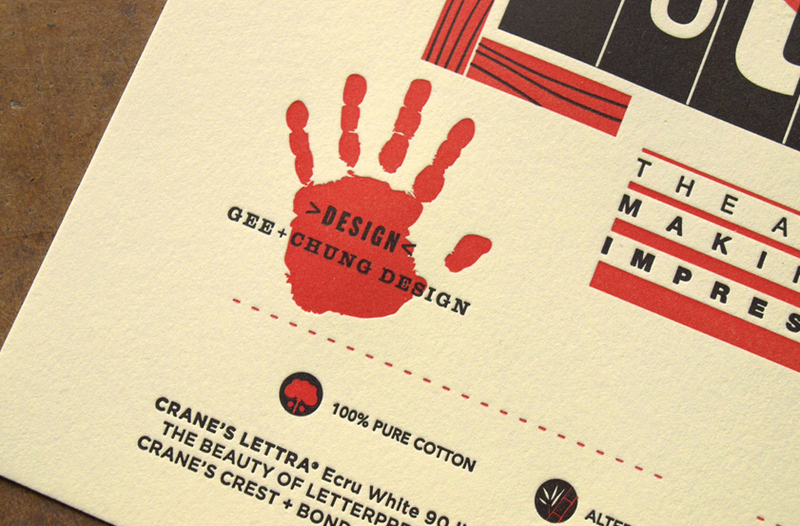 Cover Ecru White, whose quality, color, and texture convey a timeless character while displaying the depth of impression which makes letterpress unique. 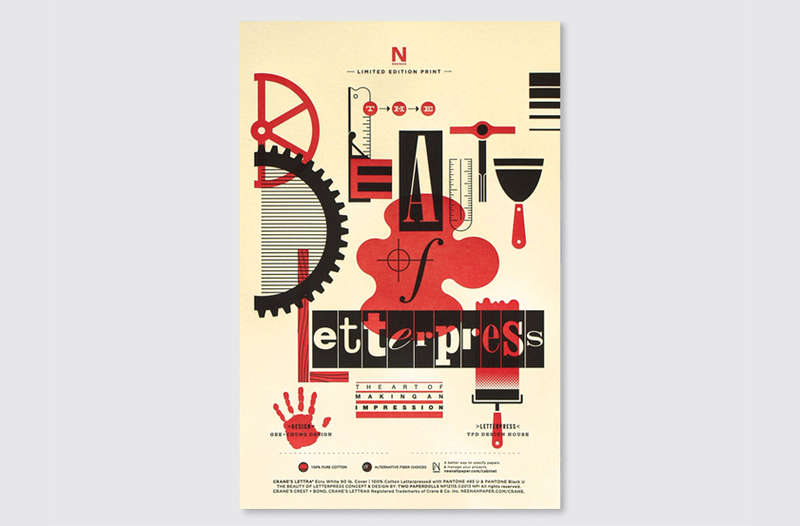 The print was an overwhelming success, with over 100 posters sold on www.thebeautyofletterpress.com to support the Hamilton Wood Type & Printing Museum in Two Rivers, WI, dedicated to the preservation, study, and use of wood type in letterpress printing.